"We are a global volunteer organization working to improve the lives of women and girls through programs leading to social and economic development." 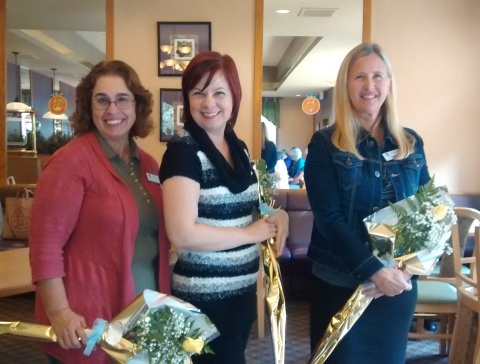 October 14, 2014 : New members, Sindy Collins, Elaine Turso, and Elizabeth Hoey were inducted at our program meeting held at Family Pancake House. 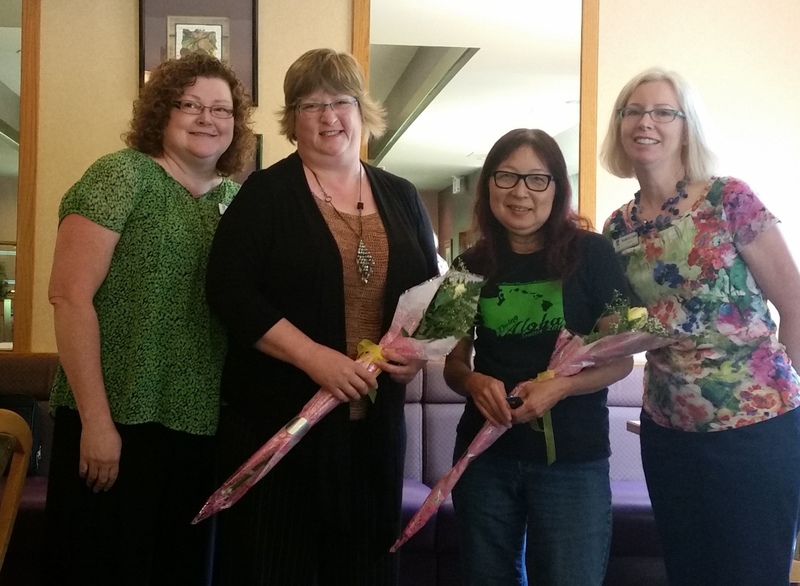 July 2015 : New members, Cindy Brooke and Jane Hill were inducted. Shown here (L-R) are Kristi Croswaite, Cindy Brooke, Jane Hill and Kathleen Cahall. Get Involved TODAY by Becoming a Member! Thank you for your interest in becoming a member of Soroptimist International of Greater Bremerton Area. We are a member-driven organization and the future of our club and programs rests on new ideas, new energy and new resources that incoming members bring. Annual membership dues are based on your JOIN date -- $145 (June 16 through December 31) or $72.50 (thereafter). An annual renewal of $145 is due by June 15 of each year. Apply online NOW. Scroll down to Start Online Application below. When you click "Submit", you will be directed to our payment screen. Important - a nominal pay pal processing fee will be added at check out when submitting your application and dues payment electronically. Download and complete a membership application form and return it by mail along with your annual dues payment to the address below. Important - no additional processing fees are added when submitting your application and dues payment by mail or hand-delivery. If applicable, please provide the name of the person who referred you to us! This is a SPAM filter! Clear all text in this box BEFORE clicking "submit". Thank you!